Write2Know | You have a right to know. Write2Know today. We believe that people have a right to know about the health of their bodies, communities and environments. 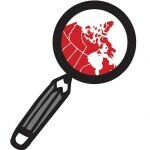 The Write2Know Project is a letter-writing campaign that gives you the opportunity to ask federal scientists and Ministers about the results of the Canadian government’s environmental monitoring and scientific research programs. The Write2Know Project was founded in 2015 to call attention to government-imposed constraints on public access to federal scientists and their research findings, the elimination of essential research programs, and the closure of libraries and archives. These constraints and closures have impacted what Canadians can and cannot know. We are hopeful that the current government will follow through on its promise to restore public access to federal scientists and their research findings, and its assurance that decisions on public and environmental health and safety are grounded in research conducted in the public interest, rather than for the benefit of commercial enterprise. In collaboration with the Endocrine Disruptors Action Group, we are launching a new campaign to draw attention to the Liberal governments’ failures to regulate toxic flame retardant chemicals circulating in consumer goods and accumulating in the bodies of all Canadians. People concerned with public and environmental health have written letters that are ready for you to sign. You can also write your own letter. This is an international campaign: Canada’s policies on oil sands, climate change, Aboriginal health, water, toxics, and more, impact people around the world. The letters you send demonstrate: the public desire for this information; your support for federally funded science and scientists; the need to protect databases, archives, and libraries; and the importance of reinstating the essential programs that monitor human and environmental health. It’s your right to know. Ask the questions that matter to you. Write2Know today.